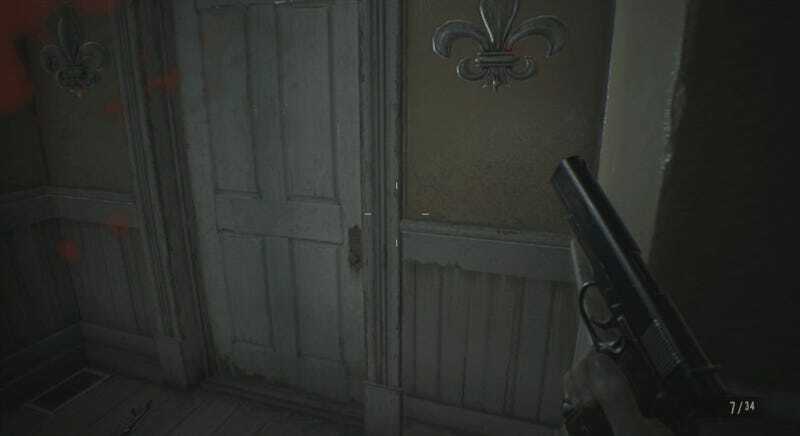 Resident Evil 7 has really good doors. It also has a lot of doors. You’ll encounter dozens of them as you make your way through the Baker family’s run-down mansion. 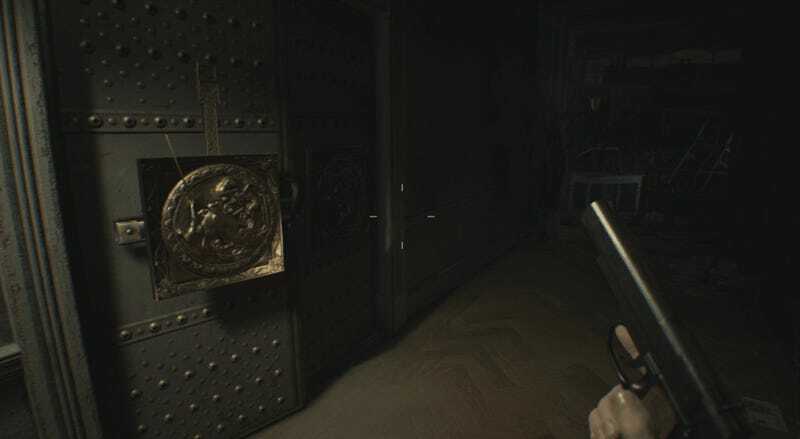 There are metal doors that require sculpted keys, and wooden doors overgrown with horrific mold. There are doors adorned with dead scorpions, and doors marked with dead birds. There are secret doors, and doors that don’t actually look like doors, and doors that only open if you make the right shadow puppet on a nearby wall. In order to open one of this game’s doors, you can either press the “use” button, which automatically opens it partway, or you can just physically push through. The latter option is easier and more intuitive, and you’re definitely going to have to shoulder your way through a few doors before you reach the credits. It’s all really well done, and unusually responsive to your inputs. 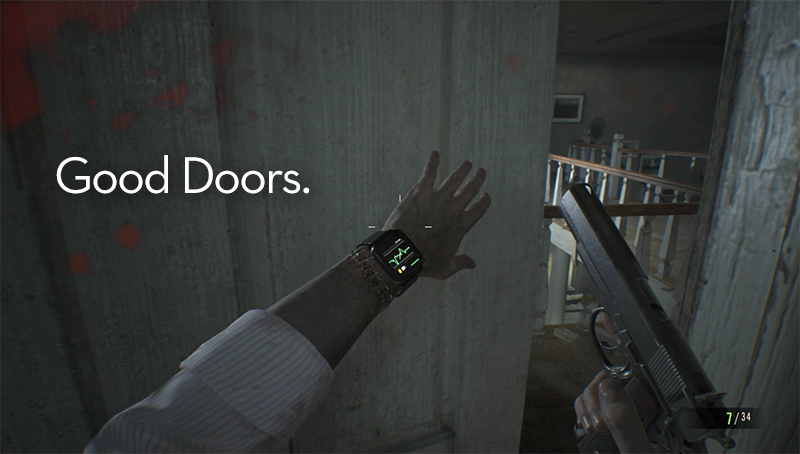 Because I can physically control the speed at which I push doors open, it didn’t take long for me to start thinking of them as actual doors. I get the sense that this kind of thing is pretty hard to do—the subtle way your “eyes” refocus, the way Ethan’s hand appears to push (or stop pushing) the door out of the way as you move him forward or hesitate. The Resident Evil series is already known for its famous (infamous?) doors, and these new doors were almost surely the result of a lot of careful toil and consideration. I bet there was a whole team that worked on them. Month after month, just getting those doors nice and polished. We can’t ship until the doors are working, guys. Gotta pull some overtime and finish up the doors. 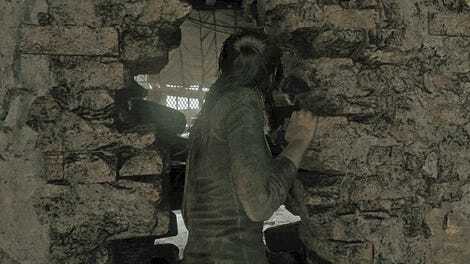 Resident Evil 7’s door animations aren’t just window dressing—they play an important role in the game’s overall effect. 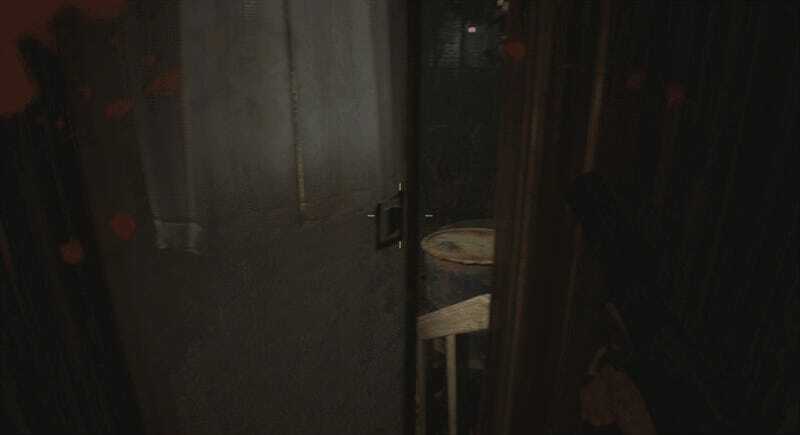 I’ve written in the past about horror game “Nope” moments, and how scary games hinge on those moments when you’re talking yourself into opening a door and facing the thing on the other side. In order for a door to be scary, it must first convincingly be a door. 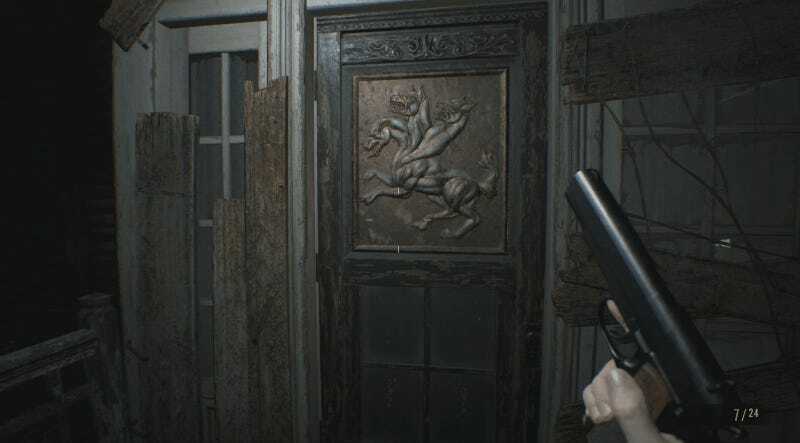 Resident Evil 7's doors are both convincing and scary.